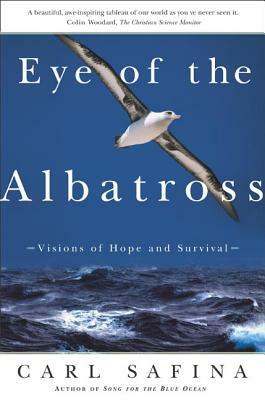 Eye of the Albatross takes us soaring to locales where whales, sea turtles, penguins, and shearwaters flourish in their own quotidian rhythms. Carl Safina's guide and inspiration is an albatross he calls Amelia, whose life and far-flung flights he describes in fascinating detail. Interwoven with recollections of whalers and famous explorers, Eye of the Albatross probes the unmistakable environmental impact of the encounters between man and marine life. Safina's perceptive and authoritative portrait results in a transforming ride to the ends of the Earth for the reader, as well as an eye-opening look at the health of our oceans.